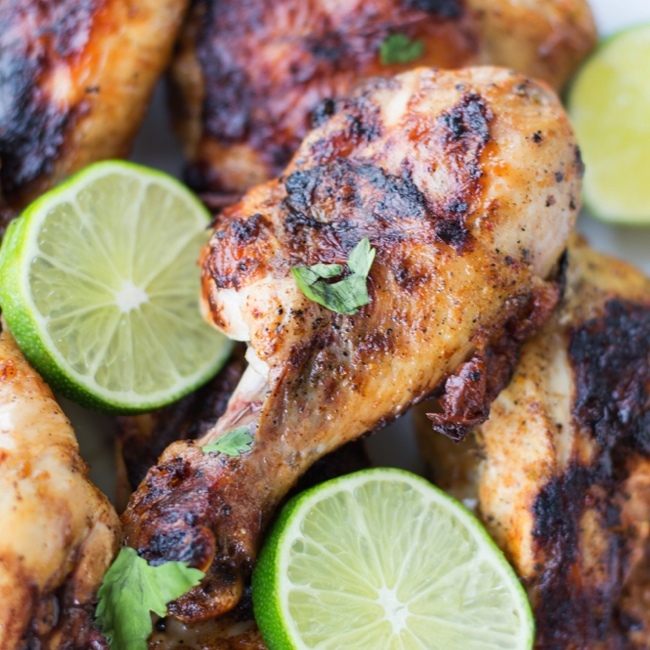 Simple flavors of lime, orange, onions, garlic, and ancho chili powder come together as the perfect marinade for chicken. 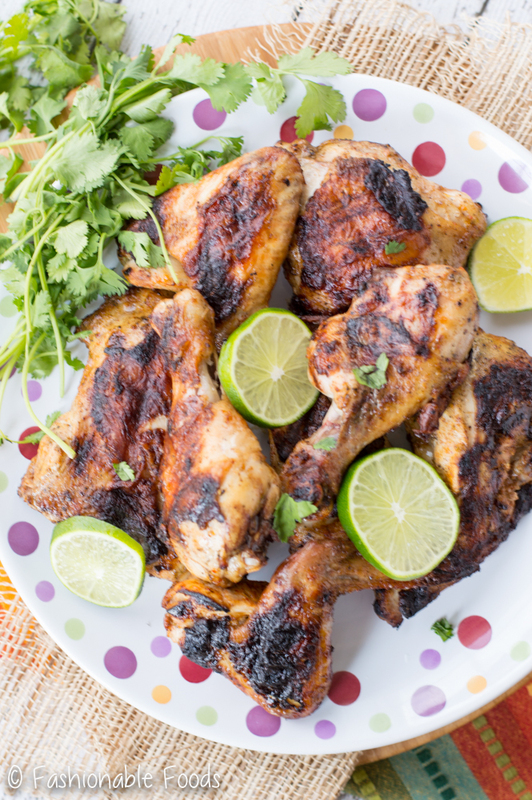 Ancho chili and citrus grilled chicken is a tasty and healthy summer meal! 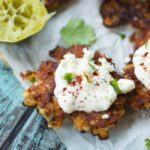 It’s gluten-free, dairy-free, Paleo, and Whole30! Happy Monday! How was your weekend? Mine consisted of blueberry picking, eating ice cream, and hitting up a local winery! Remember last week I said I needed to go strawberry picking? Well, it turns out strawberry season is over in these parts. I sometimes forget that I’m much further south than I used to be. No worries! I was able to go blueberry picking instead, which means I can now bombard you with blueberry recipes in the coming weeks ?. Kyle and I headed to a local farm early Saturday afternoon (per my request, of course!) to get pickin’. They had a few container options to choose from: pint, quart, and a bucket. Kyle started to say we would take a pint when I said “we will go with the bucket!”. The look on his face was priceless! Roughly an hour and a mild sunburn later, we filled our bucket. Actually, we could have fit more in the bucket, but the hubs couldn’t take the heat anymore. Luckily, we were able to cool down with fresh made local ice cream! Next up was a fun wine tasting at a local winery. This was Kyle’s activity pick for the day… blueberry picking for me and booze for him. Sounds about right! Although, I do love me some wine, so it worked out in my favor too! Anyway, this winery was so incredibly beautiful. They make all of their wines in the most natural way possible and pride themselves on simplicity. The best part? It’s 3 miles away from our house! That means, we are going to become regulars ?. Ok, enough about my weekend. 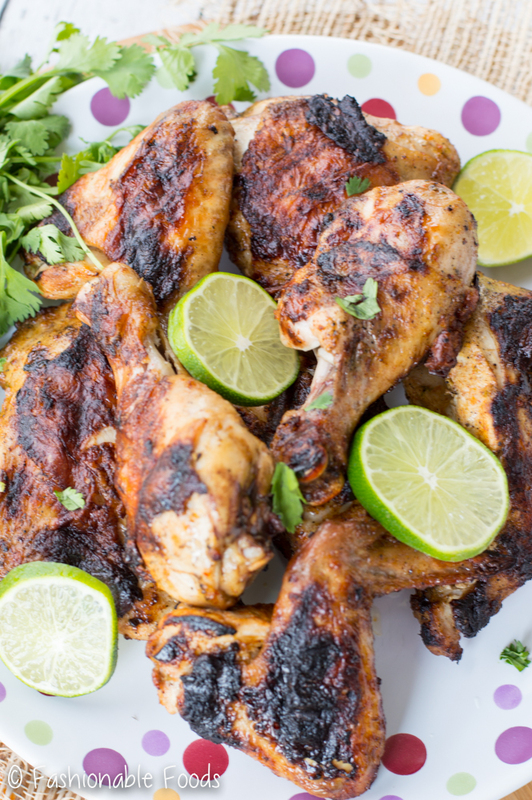 Let’s talk about ancho chili and citrus grilled chicken! It starts out with a super simple marinade – lime zest and juice, orange zest and juice, onions, garlic, and ancho chili powder. Pat it dry, grill it up, and prepare to be in grilled chicken heaven! I like to use a whole cut up chicken because I love the variety, it’s super cheap, and it’s tasty. However, you can use all legs, or thighs, or whatever it is you like. If you are a “I only eat boneless, skinless chicken breasts” person, you can also use those. If you go this route, you will only want to marinate them for 3 hours maximum and I’d recommend pounding them out so they cook more evenly on the grill. We enjoyed this chili and citrus grilled chicken with roasted broccoli and chipotle rice pilaf (recipe coming Thursday!). You can serve it a million different ways – simply with mixed veggies, a big salad, chipotle potato salad, cauliflower rice, or just eat it all on it’s own! No matter how you serve it up it’s going to be delish. And, if you’re looking for something new and exciting to serve for the 4th of July, this is it! Can you believe we are 2 weeks away from the 4th of July already?! Wasn’t it just Memorial Day? I say it all the time, but time flies! Have a great week! 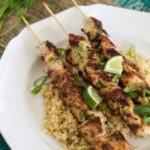 Simple flavors of lime, orange, onions, garlic, and ancho chili powder come together as the perfect marinade for chicken. 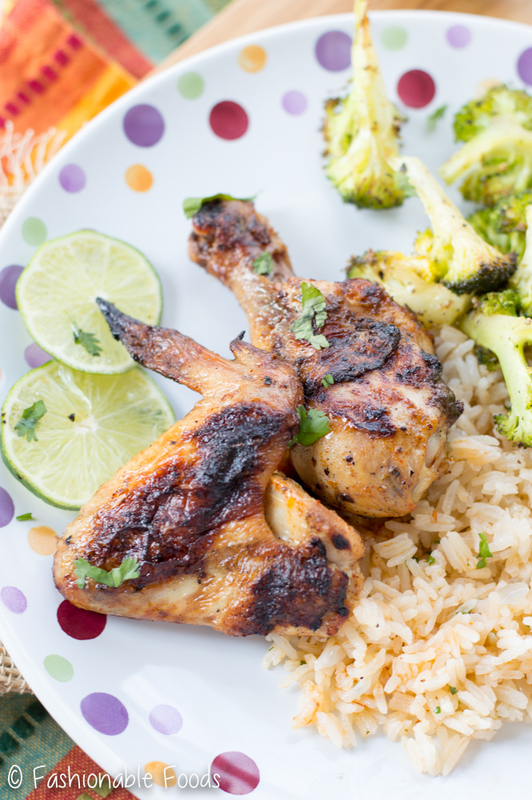 Chili and citrus grilled chicken is a tasty and healthy summer meal! 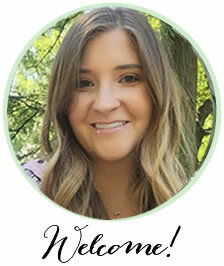 It’s gluten-free, dairy-free, Paleo, and Whole30! Combine the lime zest, lime juice, orange zest, orange juice, olive oil, onion, garlic, salt, chili powder, and black pepper in a large zip top bag. Add in the chicken pieces, seal the bag, and move the bag around to coat the chicken in the marinade. Place the bag in a bowl (just in case of leaks!) and refrigerate for at least 3 hours, or up to 24 hours. Preheat an outdoor grill to about 400º. Remove the chicken from the marinade and pat it dry. Grill the chicken pieces for about 10 minutes per side (keeping the heat roughly at 350º) or until a thermometer inserted in the thickest part of the thigh reads 165º. Let the chicken rest a few minutes before serving. 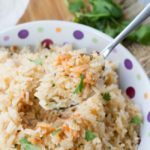 Squeeze with fresh lime juice and top with cilantro leaves. Blueberry picking sounds so fun! I really want to go someday. I’ve never done that (or strawberry picking)! It’s been so hot here too, so I can imagine that it was hard to be in the heat for too long. This chicken looks like the perfect summer meal to pop on the grill. 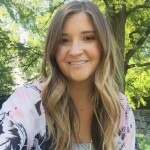 Love the chili and citrus combo, Keri! It was a lot of fun, Gayle! Thanks for kind words – definitely the perfect thing to throw on the grill for summer. We’ve had it a few times now! I love berry picking, and blueberry is one of my favorites. I bet this is so much fun. Love how simple, delicious and easy this grilled chicken is. Loving all the awesome flavors. 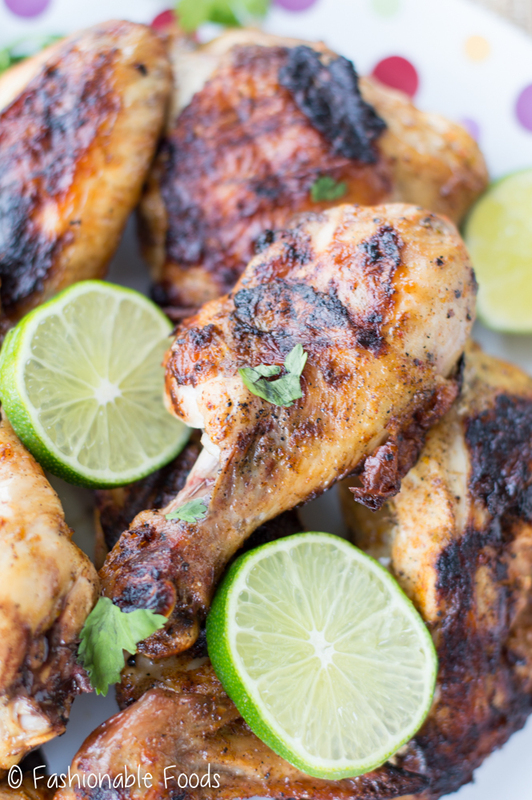 Ancho chili and citrus grilled chicken sounds like the best combo ever. Have a lovely week! Strawberry picking. Blueberry picking. As long as you got your hands on some perfectly ripe and super fresh berries, I’d call it a win! 😉 Speaking of wins, umm this chicken!! Love the citrus and slight spice on this chicken, girlfriend! Adding this to our grilling menu rotation! Cheers!